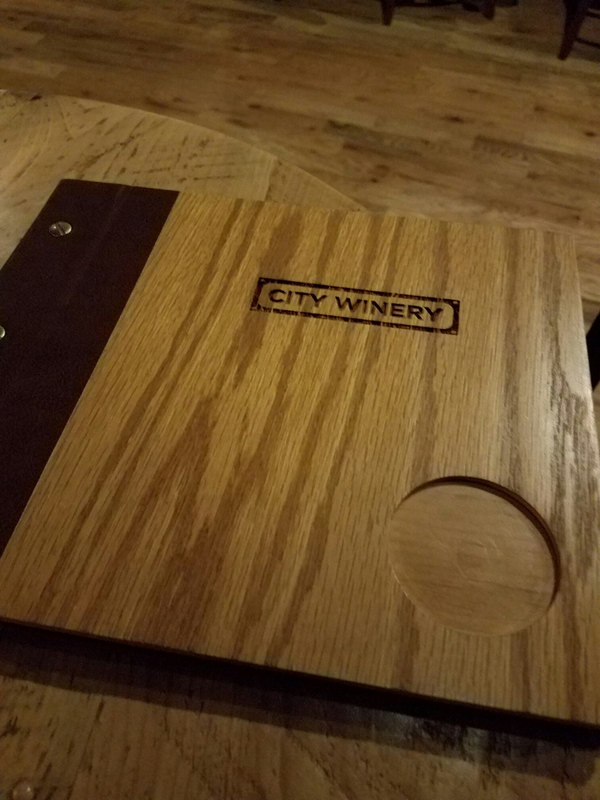 If you are looking for something new to do in Atlanta then you have to check out City Winery. City Winery has dining and entertainment in one place. 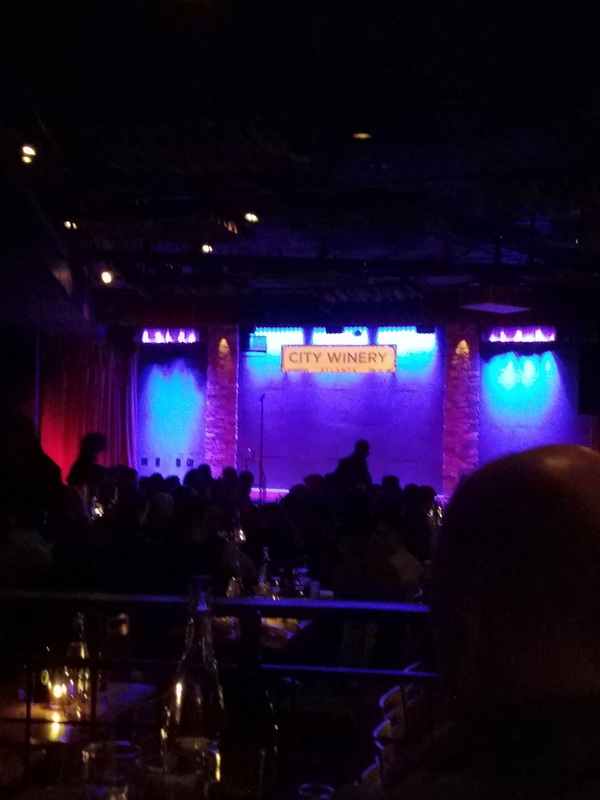 The night I went, we were there to see a comedy show. Yet, on most nights, there is a featured artist performing, typically live music. You definitely do not have to have tickets to see anyone perform to enjoy yourself. You can sit at the bar and enjoy their selections of beer, liquor and wine. You can be seated in the dining area upstairs for a tasty meal. Or you can do dinner, drinks and entertainment. 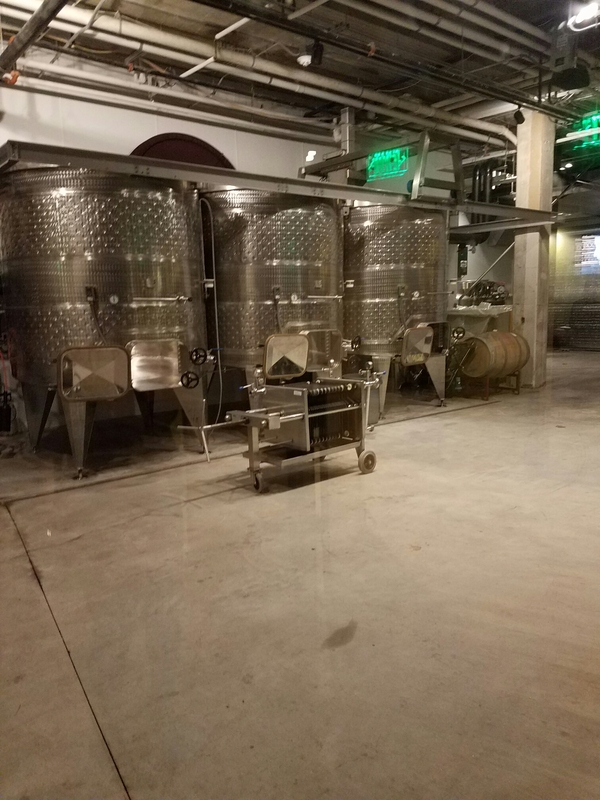 They have a wonderful selection of wines that are made on-site. City Winery staff sift through grapes in preparation for the wine making process. The staff are friendly and were helpful in making food and drink recommendations. 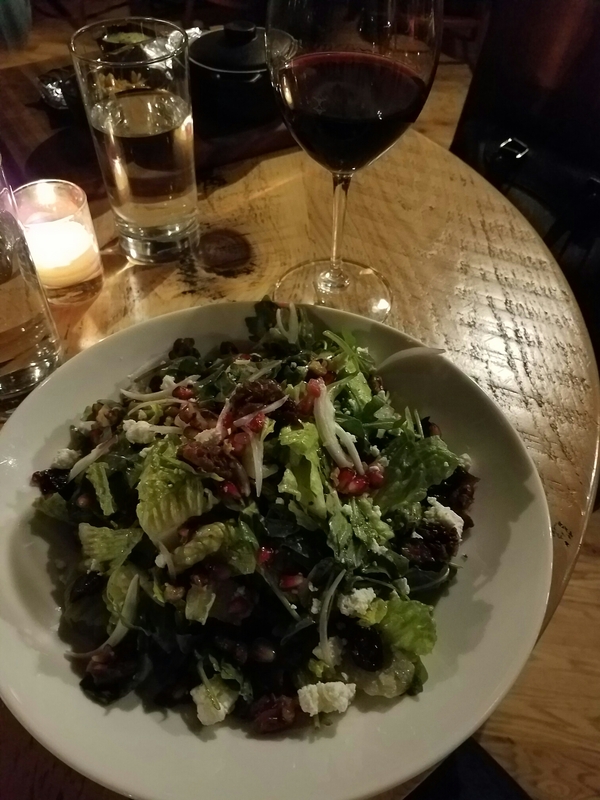 My selection for the night was the Winter Salad and a glass of Meritage (a red wine blend). Both were delicious! 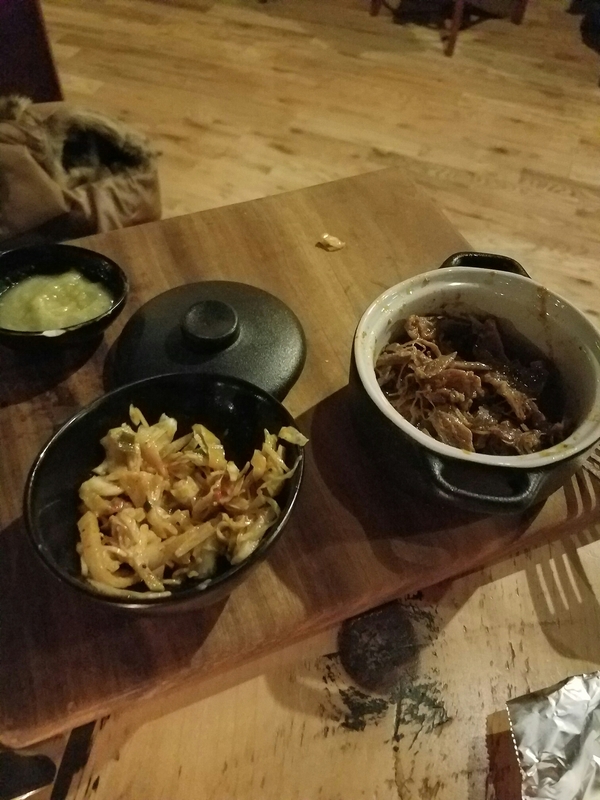 My friend choose the Duck Confit Tacos and Soup Du Jour (a tomato based soup with shrimp). Of her two choices she really liked the soup the best. We really enjoyed our time at City Winery. 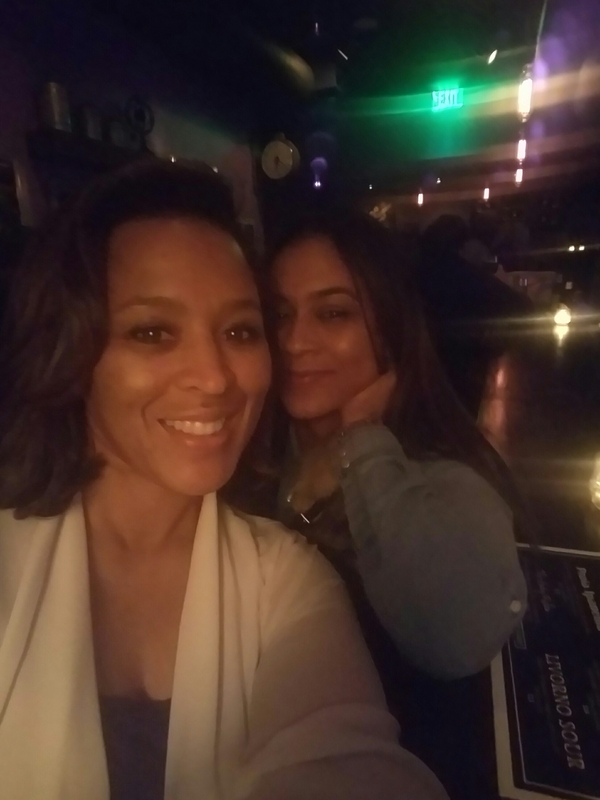 After the comedy show, we made a quick stop at the speakeasy to see what it was like. It was very quaint and cozy but we decided to leave since we were ready to get home. But it’s definitely worth going back. Overall, it was a great experience!